During the Kidventure week many unforgettable stories were born. Our son started to anticipate the trip when we told him about the big airplane and all the huskies and reindeer he then planned to cuddle. Outdoor play is an essential part of learning. Here’s how the Nordic countries are battling the lure of screens, bad weather and more. Getting a toddler dressed for winter and out the door – on time – is no small feat. Here’s everything you need to need to know about choosing the right items of clothing that will not only keep your little one warm and comfy, but keep you sane as well. 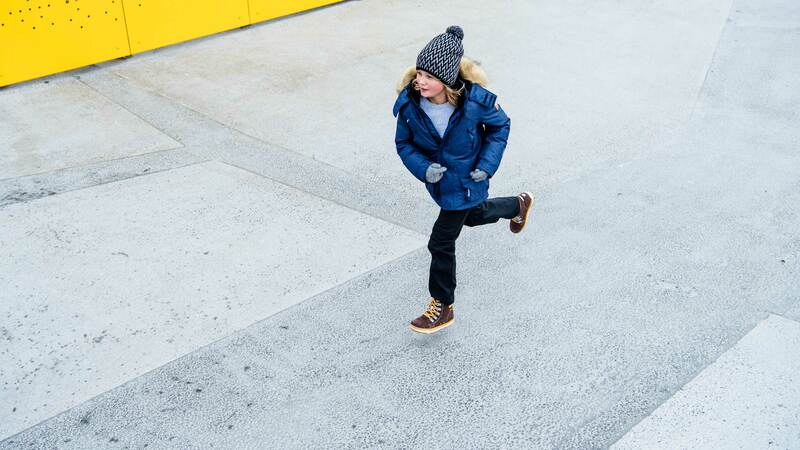 Dressing a sweaty kid is no sweat. Read on for our top tips to keep sweaty kids cool and comfortable no matter the weather. Transparency is essential to Finnish companies. Read on to find out how it’s helping to shape the clothing industry. Kids in the Nordic countries know how to get the most out of the great outdoors. Here’s why. Kids learn best when they’re exploring! Learn how to give them freedom while keeping them safe, too.